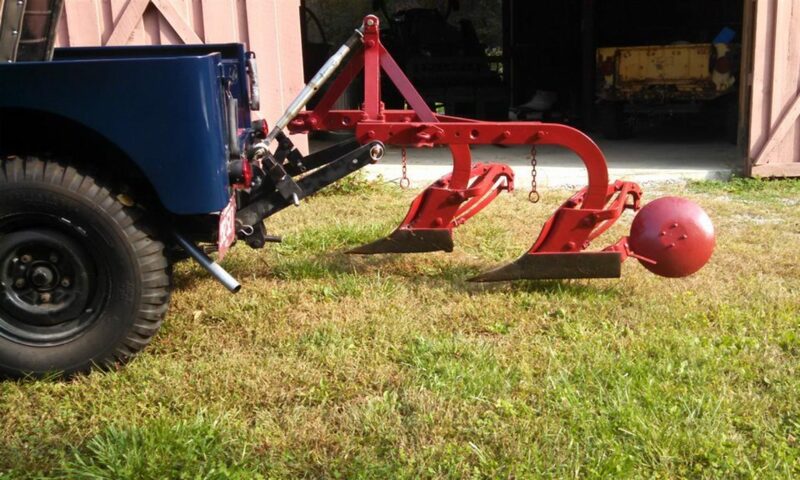 Paul Barry of Willys America purchased an early CJ2a equipped with a HYTECO implement lift. 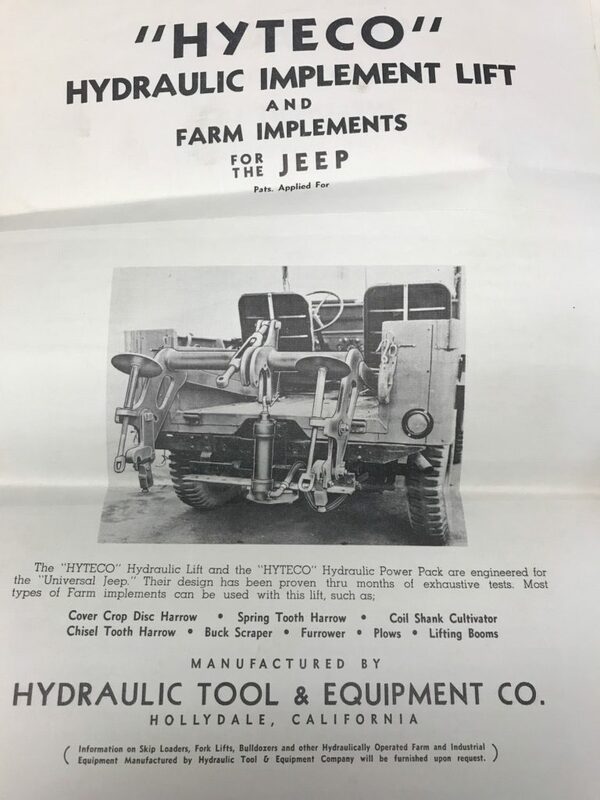 The description of the lift came with the Jeep. The lift, manufactured in California is featured in a promotional film, a portion of which can be seen below.